Keeping in mind ever-evolving requirements of our respected clients, we are offering a premium quality range of PU Artificial Leather. Usage/Application: used in the defence and fire fighting equipments manufacturing. 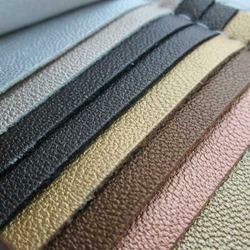 Our association is broadly known for maintaining the quality in offering PU Synthetic Leather. - 3 to 4 people can sit comfortably in this couch. - Ultra soft and durable Pu Leather, loose back pillows for a plush look and comfort. Plush and durable foam filled seat cushions. We have marked a reputed position in the market by providing a high quality range of PU Nubuck Leather. - Usage: For making furniture, bags, etc. 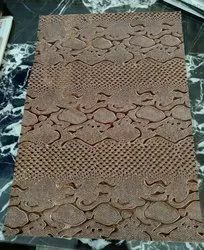 Keeping in mind the diverse requirements of our esteemed clients, we are offering a designer range of Cobra PU Leather. With sincere intentions to preserve and uplift our reputation in the market, we bring forth a distinguished assortment of Designer PU Breathable Leather.